It can be pretty hard to get a job these days. First of all, there is no work like before in some areas. And when some job opening appears you have a tough competition for that job and odds for you to get it are pretty small. Well, how to increase your odds? You must be creative and attract attention of company that offered job position. But, how to do that? The best way is to create professional infographic resume or CV. Infographic resume template can be very useful when you creating your very own infographic CV. It will definitely save you a lot of time , therefore you will be able to concentrate on the resume content rather than design. 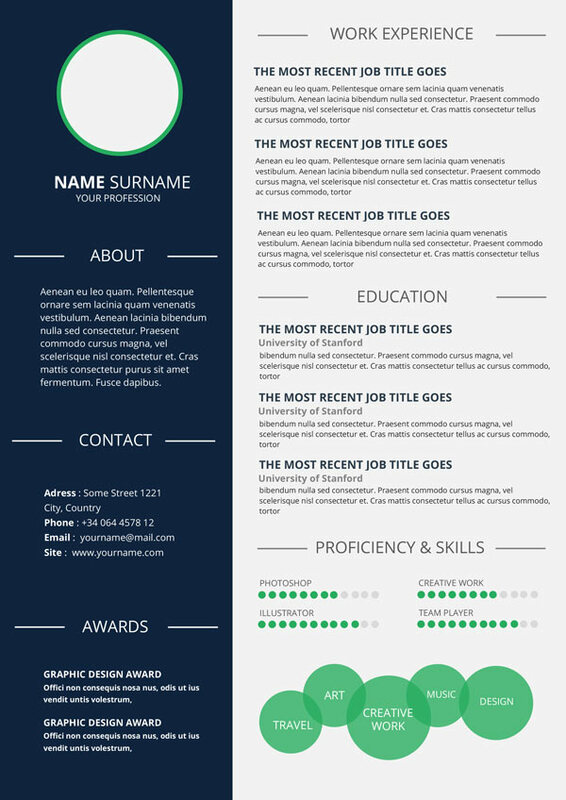 Infographic resume template simplifies creation process and helps you present your skills and experience exactly as you wish. Colors, fonts,icons and other elements customization options allows you to express your personality and underline your strongest points. We offer you simple infographic resume template in Microsoft Word (A4 format, .docx files) which you will certainly be special and unique compared to other candidates. This infographic resume is professionally designed and easily editable for the people who wants to leave an unforgettable impression. Fully customizable in Microsoft Word. 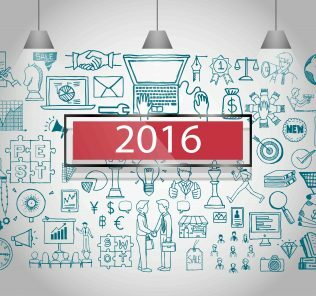 Tired of the same old cookie-cutter formal resumes? 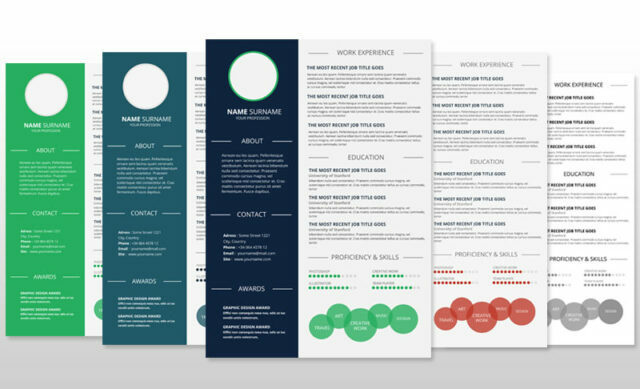 Download our CV templates and transform the overall looks and appearance of your CV. 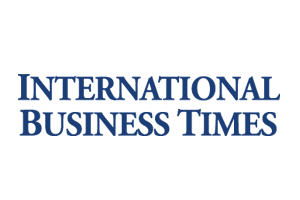 We take the challenge right out of designing a new resume and give you quick and easy CV templates that are available for download here. Impress prospective employers and make your resume stand out from the rest. Start now! 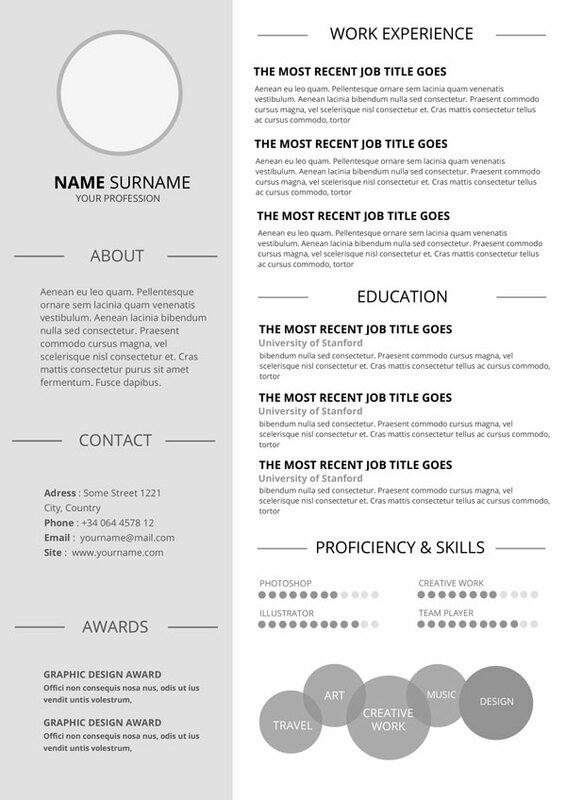 Infographic resume template simplifies creation process and helps you present your skills and experience exactly as you wish.